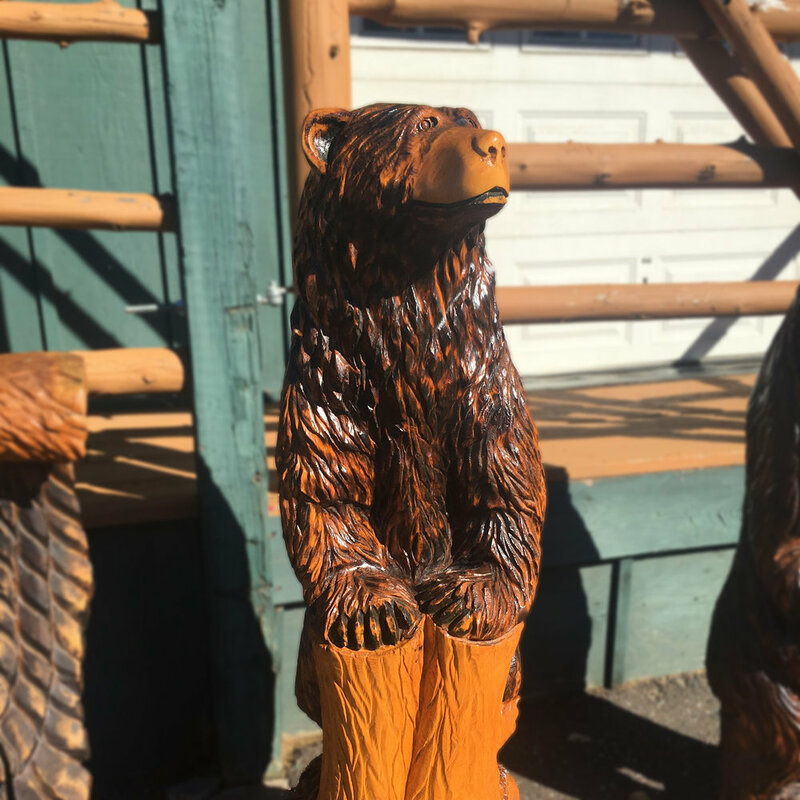 Carved from Northern MN White Pine, each carving tells a unique story. The process: rough-carving with a chainsaw, period of drying/curing, detailing with specialty bits, and finished with quality log sealers before being put on display. Every log is different, each carving unique. Sizes range from 10" tall to 8'+ with pieces that can accommodate any budget. Note: All logs have cracks. We take extensive steps to minimize major cracking before we apply finish, but we cannot guarantee the wood will not move or crack after being brought to a new environment. Most cracking is very minimal and even adds to the authentic esthetic of a piece carved from a raw log. 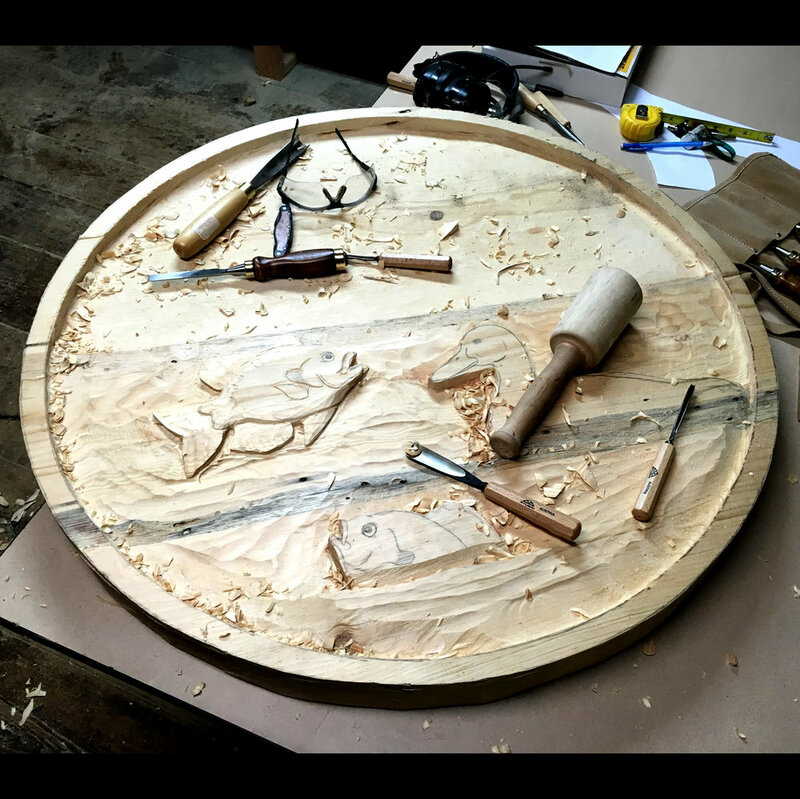 With over 13 years of experience and with pieces all over the world, we continue to enjoy creating wood sculptures that become part of the story of our customers' lives.